The simplest way to pay. After carrying out an online order you automatically receive all data necessary (bank data, amount, etc.) to pay the invoice. All information will be displayed on the screen during the transaction, additionally the information will be send to you via email confirmation of your purchase. If you place an order by phone you will receive the relevant information via email to fulfill the order. Please bear in mind that the amount of a possible subsequent delivery has to be invoiced completely then placing the order. The goods will be delivered as soon as we establish that payment has reached our account. We will confirm the payment received and in case one or various products are out of stock at this time the subsequent delivery will take place as soon as possible. A subsequent delivery is free of charge of course. If the payment has not reached our account after 14 days the order will be cancelled. Please ensure to declare the money transfer with your invoice and customer number. Convenient – ordered items are reserved for a maximum of 7 days. Fast – no need to process other transactions. PayPal is making your purchase simple, safe and fast. Simple purchase of your order with only two clicks, without entering bank or credit card data. Your PayPal account only have to be registered once. With your online order choose the payment method PayPal. After processing the order, you will be redirected to the secure payment form from PayPal. If you already have a PayPal account you put in your login details. Otherwise you simply click to open an account and follow the instructions. Within seconds we receive your payment and your ordered items can be shipped soon. Your bank and credit card details will not be transferred to third parties. For buyers, the PayPal transaction is always free of charge. Simple – only two clicks without entering bank or credit card details. Safe – no transfer of bank or credit card details to third parties – maximum safety for you. 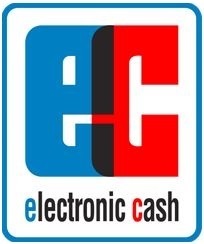 Fast – quick processing due to clearance of payment within seconds. PayPal PLUS offers credit card payment for foreign customers – even without having a PayPal account. For the credit card payment you do not need a PayPal account. Simply choose PayPal PLUS during the online order. After sending the order form you will be forwarded to the PLUS checkout to complete the purchase. Convenient – no PayPal account necessary. Easy to operate – credit card payment as you are used to it.